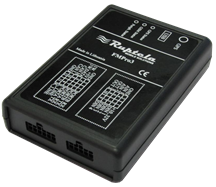 Ruptela FM-Eco3 is an economic application as it does not have its own battery, it cannot be connected to CAN interface or diagnostic outlet (OBD II). It has two digital inputs. 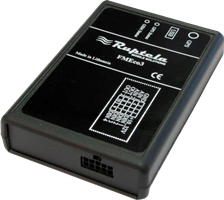 Ruptela FM-Pro 3 - may transfer various information from remote objects - temperature mode, battery charge, fuel consumption, door opening control, etc. There is a built-in (Li-Po) lithium-polymer accumulator battery, with the capacity of 800 mAh with charge control (up to 48 hours). Ruptela FM-Tco 3 may transfer various information from remote objects - temperature mode, battery charge, fuel consumption, door opening control, etc. There is a built-in (Li-Po) lithium-polymer accumulator battery, with the capacity of 800 mAh with charge control (up to 48 hours). Monitoring device Ruptela FM-Pro3 GLONASS is manufactured based on satellite GLONASS module "MGGS2217" of MStar Semiconductor Company. Module "MGGS2217" is certified by VNII "MS Rosstandard", on the basis of the test protocol of GNIII the Ministry of Defence of Russia and it has a certificate of measuring instruments patterns approval. Monitoring device Ruptela FM-Eco3 GLONASS is manufactured based on satellite GLONASS module "MGGS2217" of MStar Semiconductor Company. Module "MGGS2217" is certified by VNII "MS Rosstandard", on the basis of the test protocol of GNIII the Ministry of Defence of Russia and it has a certificate of measuring instruments patterns approval. 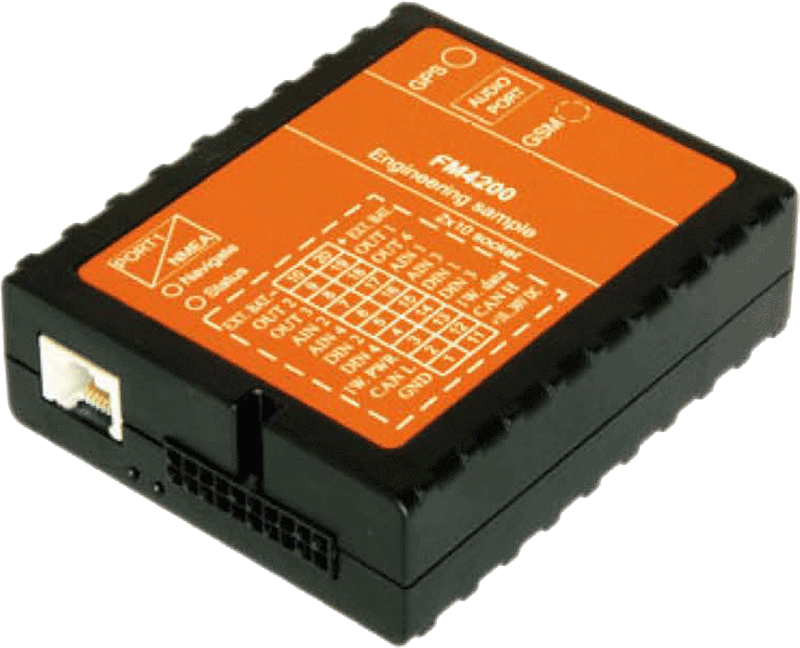 Teltonika FM4200 - GSM/GPRS/GPSis a tracker that can receive coordinates of a device and send them via GSM. Tracker is an ideal device for identification of location of remote objects (light vehicles and trucks, machinery, vessels, etc.). GSM/GPRS/GPS tracker FM4200 has built-in accumulator and power control function. It is possible to use external back-up battery. 4 digital input, 4 digital outputs and 4 analog outputs, which can be used for task execution on remote sites - monitoring fuel level in tank, temperature, engine condition or door opening control of a truck, etc. CAN interface for FMS interface of trucks that allows receiving data directly from onboard computer of a vehicle. 2 indicators: " Status " and " Navigate "
The package includes GPS antenna, color I/O cable and cable for data receiving.